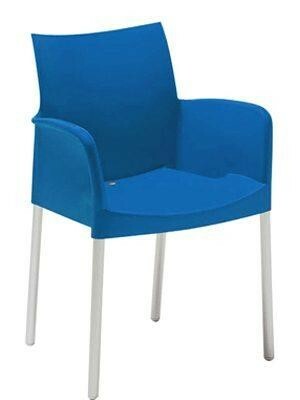 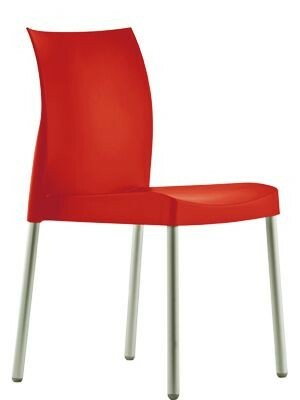 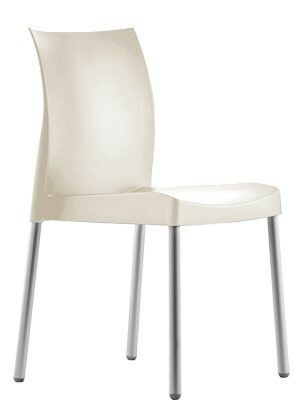 Stackable polypropylene sidechair with an aluminium frame. Suitable for outdoor use. Also available as an armchair (Not available in Black). Seat height 450mm.